Author Laura Drake broke the hearts of all her writer friends in Orange County, California, in March 2014 when she moved to Texas. 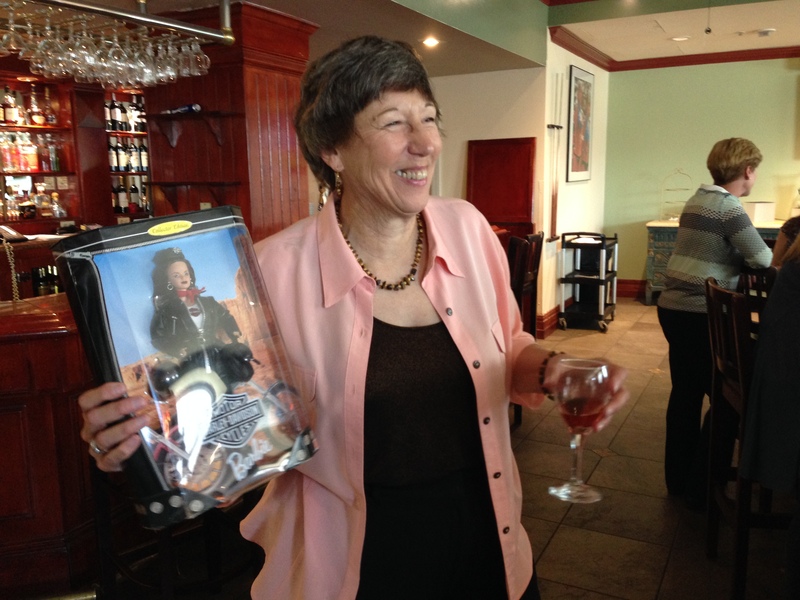 Here’s a video of all the writers who attended her going-away party. Note that we are never too old to be gifted with a Barbie Doll. One of the writers gave Laura a Biker Barbie and we were all reminded that Laura and her hubs adore taking discovery road trips on their motorcycles. 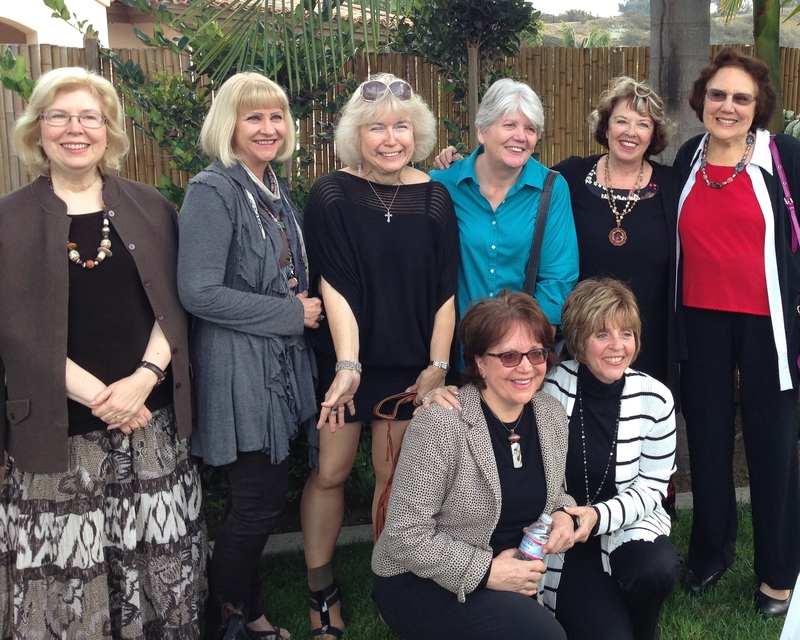 These authors remember their talented, caring first literary agent at a memorial service for Patricia Teal, who passed away on Valentine’s Day 2014. Together the women have published more than 450 books. 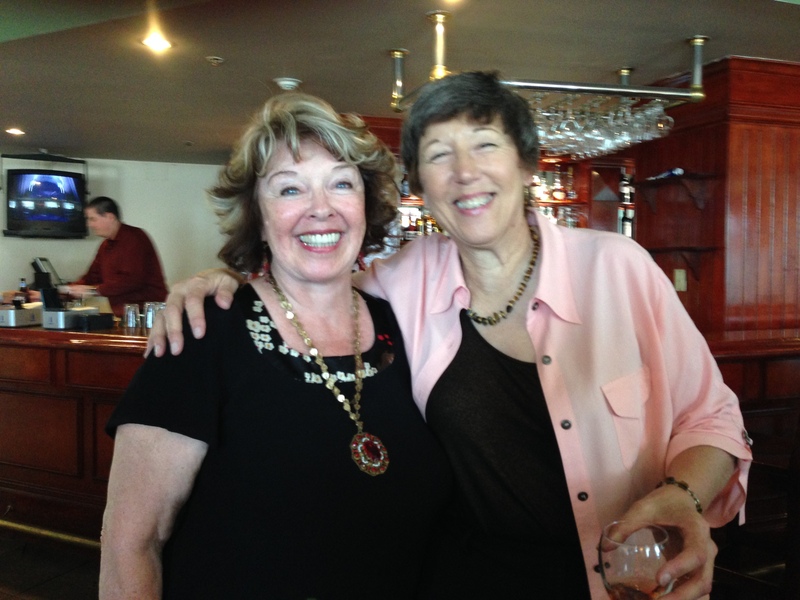 The service was held at The Dunes in Newport Beach, California. 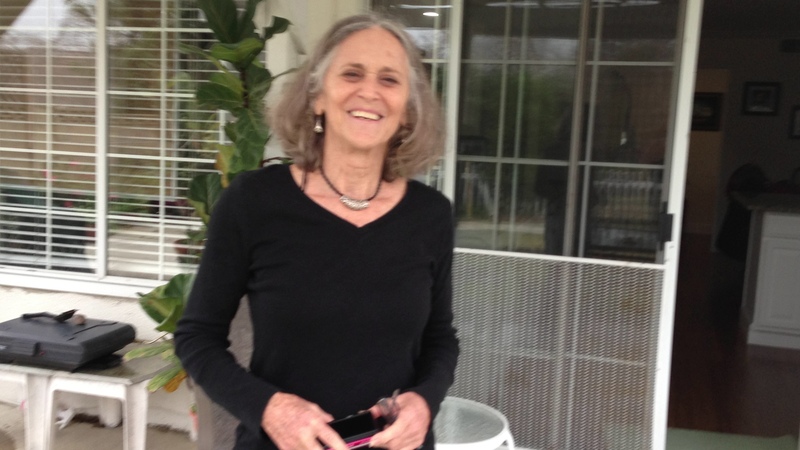 Here’s a video of the late Leslie Zelinsky from her visit on Jan 26, 2013 to my home in So Cal from her home in Coco Beach, Costa Rica. It took us nine years to meet in person, and we found we had lots in common: degrees in literature, books, the ocean, snorkeling, kids, the single life…. Girl, you will be missed.